SEO is one of the most mysterious aspects of the modern internet. Much has changed in the past 20 years. We have been through every Google algorithm update from Florida to Fred. Understanding SERP (Search Engine Results Page) trends and monitoring results combined with our know-how will achieve maximum results. 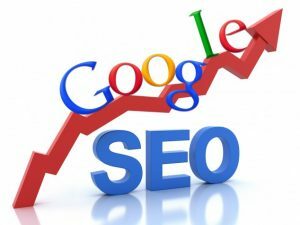 All sites are developed using best SEO practices and white hat techniques as prescribed by the Google webmaster guidelines. Further marketing and search focus is performed once the initial site construction is completed. Target your keywords. Minimum of 25. Clearly define the focus of your product and brand. Collect all original, quality content to provide to your target customers. Open social network accounts on platforms you intend to use. SEO Service are available starting at $1000/ month – includes up to 40 hours of content creation and page optimization. We can have your site listed on page 1 of Google search results within 30 to 60 days. Review our current service rates. For typical pricing read: “How Much Should You Spend on SEO Services” . Our rates are typically a fraction of that our competitors demand. SEO rarely produces instant results. It is best carried out over time.